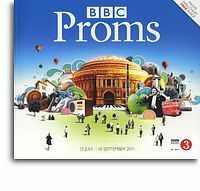 This year’s Proms in the Park will be held in London’s Hyde Park on Sunday 10th September starting at 5:30pm. The event will be hosted by BBC Radio 2’s Ken Bruce and artists performing include: Josh Groban, The Overtones, Deacon Blue, the Cast of Rock of Ages, Katherine Jenkins, Russell Watson, Lang Lang, the Royal Choral Society and the BBC Concert Orchestra conducted by Keith Lockhart. Highlights of the Hyde Park concert will be included as part of the live coverage of the Last Night of the Proms on BBC One and BBC Two, while digital TV viewers can choose to watch the Royal Albert Hall Last Night or the Proms in the Park concert via the Red Button.